Confession time: We have not caught a single Caterpie or thrown even one PokéBall. But we get that a whole lot of folks think Pokémon Go is the most awesome thing to come down the pike since Candy Crush (which is the game we’re still playing, thank you very much!). With that in mind, we’re pointing you toward a guide that is going to change how you play the game. And yes, there’s such a thing as a PokéRap. Live and learn, kids. Live and learn. 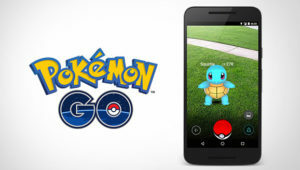 In any case, the article will teach you tricks like how to earn more experience points, why you want to transfer pokémon with low combat power to Professor Willow in exchange for candies, and how a Lucky Egg can give you a major boost. (It almost sounds like we know what we’re talking about, doesn’t it?) And we’re told the advice on how to “take over PokéGyms With Ease” is a must-read for those playing in teams. But for those in the know, the article not only contains lots of helpful tips, but contains a ton of helpful links. So read it, absorb it… and then go forth and capture!